It seems like every new Ram that is introduced is better and better equipped than the last. That is definitely the case with the new 2019 Ram 2500 and 3500 Heavy Duty Laramie Longhorn Edition luxury pickup truck. The Ram Laramie Longhorn is the world’s benchmark for upscale pickup trucks, as proven by it being voted Luxury Pickup Truck of Texas by the Texas Auto Writers Association (TAWA) three years in a row. 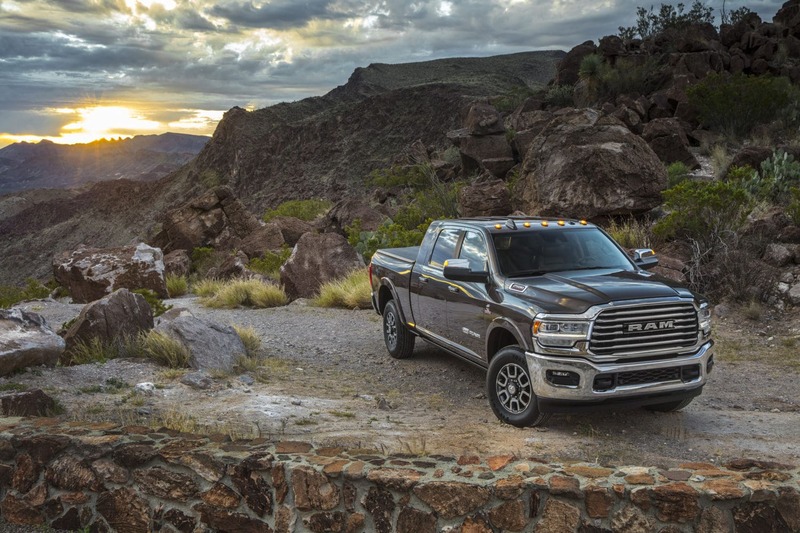 Ram Trucks have been on a real roll in past months with those awards, the Auto Judge Truck of the Year Award and most recently the NACTOY Truck of the Year Award. The new heavy-duty Ram truck leads the market in torque (1,000 lb. ft), towing (35,100 lb., and payload (7,680 lbs.) while being outfitted with all the luxury amenities that have won the brand such awards. The Laramie Longhorn boasts a myriad of iconic features and design cues from handcrafted wares such as the antique pocket watch, hand-tooled leather cowboy boots or a horseman’s saddle. 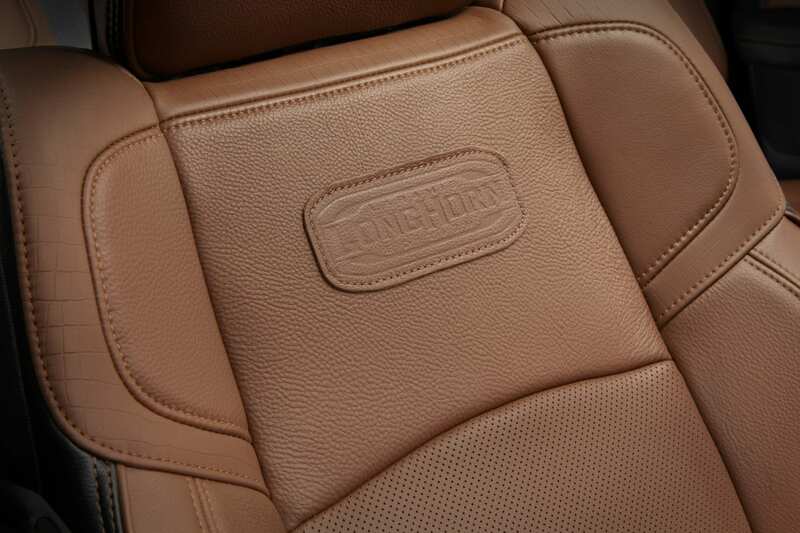 The Ram Laramie Longhorn’s wood, metal and leather elements are all authentic. Ram Heavy Duty Laramie Longhorn models are distinguished externally by a chrome-slat grille and header surrounding the premium LED lamps with Adaptive Front-lighting System (AFS). Chrome bumpers, tow hooks and side steps (power optional) come standard as do wheel flares. Two-tone color options include correlating RV Match Walnut Brown bumpers, flares and lower panels. New 20-inch wheels are offered with a variety of finishes. The large belt-buckle badging continues to adorn the side of the Laramie Longhorn trim. 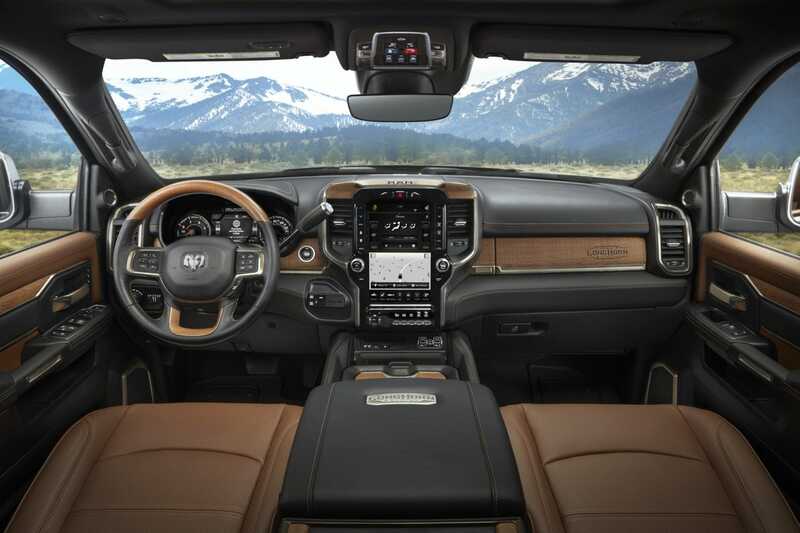 Ram Laramie Longhorn’s interior trim is the pinnacle of quality with a segment-exclusive hand-wrapped, 100 percent full-grain leather-wrapped dashboard, door-panel coverings and armrests in Southwestern style. Throughout the cabin, a new alligator skin-embossed surface covers the center console, instrument panel, seats and door-panel inserts. Other unique details, such as satin warm-chrome accents with a brushed-nickel metal badge flush with the console lid and new burned-in “Longhorn” branding mark on upper glove box, give the Laramie Longhorn a well-crafted, high-quality feel and appearance. Ram has improved the towing and hauling experience by focusing on confidence-inspiring features and class-exclusive vehicle safety, while adding many features from the award-winning 2019 Ram 1500, which we test drove and fell completely in love with this past week. Previous articleCaptain Marvel: Who’s The Star?